Three recent works of fiction suggest that war in Iraq was not so much an event or set of events, but a disease that infected its participants and ruined their lives. 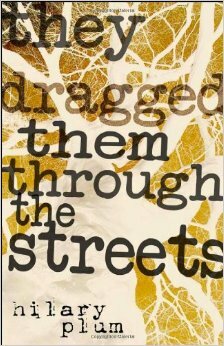 Hilary Plum’s Strawberry Fields is her follow-up to her 2013 novel They Dragged Them Through the Streets (which I review here) and her 2016 book of essays Watchfires (mentioned here). 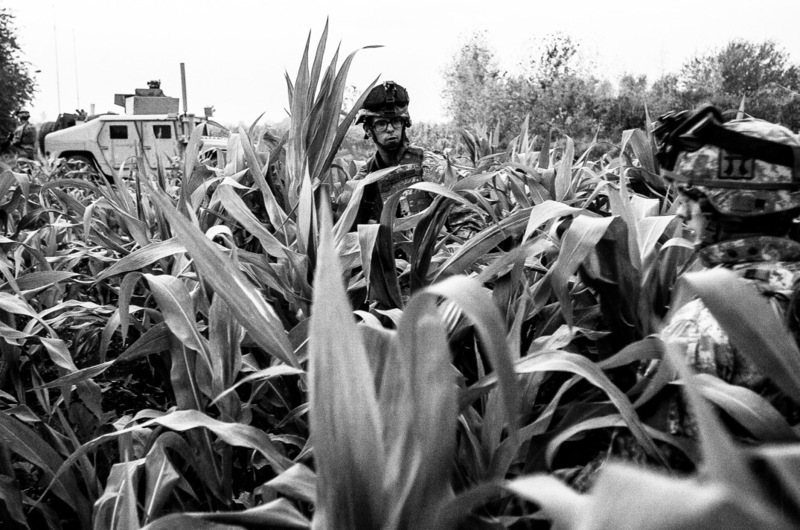 Like Plum’s previous two works, Strawberry Fields’ interest is the rancid state of American society and global geo-eco-politics, in which violence, fear, militarism, crime, natural and man-made disaster, and constant surveillance overwhelm optimism, good-nature, civility, and civic feeling. War in Iraq figures in each of the works, but mainly as a breeding ground for and a corollary manifestation of rot at home. In Strawberry Fields, five Iraq veterans are found murdered; the rest of the novel details a strange alliance between a journalist named Alice and a detective named Modigliani as they search for clues to the murder in war crimes committed by contractors to whom the soldiers were connected overseas. The story is related through the perspective of multiple characters in a non-linear manner, with contextual clues scant and little sense of plot or closure. Intermixed with the main storyline are other chapters depicting harrowing scenes of human, animal, and environmental vulnerability, set in places as diverse as New Orleans after Katrina, a refugee camp in an unnamed country, a neglected zoo, a field ruined by pesticides. The textual atmosphere is sometimes lyrical but mostly clotted and bristling, so Strawberry Fields is not an easy breeze for casual readers. 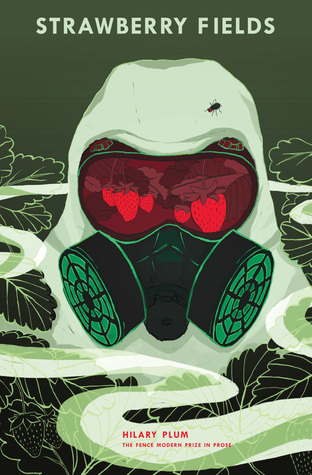 If, however, you, as do I, might like a novel that doesn’t just describe our malevolent times but replicates their dizzying and dismaying profusion of bad news and hostile intentions, sans happy-face band-aids, then Strawberry Fields is for you. Caleb Cage’s dedication to Desert Mementos: Stories of Iraq and Nevada, his book of nine linked short services about war in Iraq and before and afterwards in Nevada, is telling. Written “For Brooke” (I presume Cage’s wife), it goes: “you are the happy story you couldn’t find on these pages.” Brooke wasn’t wrong, for I don’t think I’ve read a work of fiction about Iraq or Afghanistan that is so relentlessly dour. The protagonists of the stories in Desert Memories—soldiers of different ranks in a Nevada National Guard infantry unit—just seem miserable. The war is hopeless, the chain-of-command are fools, Iraq and Iraqis are disgusting, the soldiers screw each other’s girls, the women in theater and back home are treacherous, and the relief from it all—alcohol—is a one-way fast-track to ruin at an early age. Something like the true voice of the disaffected junior enlisted soldier and junior officer emerges in full throttle over the course of Desert Mementos. Convinced of their own superior judgment and self-righteousness, the soldiers seethe as the increasing apprehension that they now hold in contempt the military they voluntarily joined gnaws at their self-respect. What they hoped would be a transformative experience has turned out to be joyless and purposeless and they suspect that they have been made worse, not better, by Army service. Silently blaming themselves for their predicament is intolerable, however, so begins endless bitching and acts of petty insubordination directed at a military they now loathe. For all that, Desert Mementos has many virtues, or maybe all that is its virtue, or at least its point. I’ll trust there are still a lot of highly-motivated, good-natured soldiers eager to do well out there, but there are those like the soldiers described in Desert Mementos, too, and the military has only itself to blame for it. As someone who has led a lot of vehicle “CONOPS,” I liked Cage’s depiction of them in “Ghost Patrol.” As someone who has pulled many guard-tower shifts, I appreciated Cage’s portrait of the same in “Desert Island.” As someone who knows all too well the inside of a Tactical Operations Center (TOC) and built many a PowerPoint presentation (and written about them here), I loved “This Is Not Burning Man.” As someone who had a vexing professional relationship with a female embedded journalist, I could relate to “Proxy War.” As someone who has had some memorable experiences driving through Nevada, I thought “Tonopah Low” was right on-point. And as someone who was witness to the killing of a fellow truck crew-member, I’ll testify that a similar event described in “Soldier’s Cross” spoke to me hard and true. 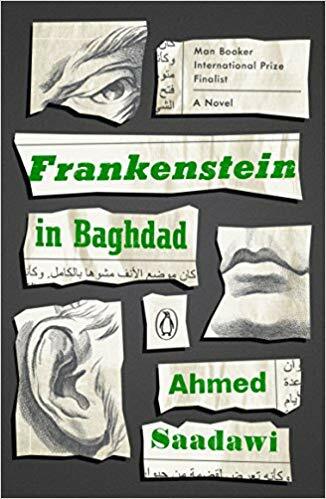 Ahmed Saadawi’s Frankenstein in Baghdad tells the story of a monster created out of human body parts that wreaks vengeance on Iraqis who are complicit in criminal activity—usually killing—directed against fellow Iraqis. The novel’s least interesting parts are those that give voice to the monster’s consciousness or attempt to explain it through authorial third-person description. Apparently, the modern-day Frankenstein represents a cosmic manifestation of the violence begat by violence, a self-fulfilling prophecy of ever-expanding retribution for past sins and crimes, amplified by the collapse of humane civil society in Iraq as a result of first Saddam Hussein and then the American invasion. These portions of Frankenstein in Baghdad ring kind of strident and over-determined while emitting confusing signals whether they are serious or comically fanciful. Much more winning is the rest of the novel, which consists of accounts of everyday Iraqis—the 90% who wouldn’t think of killing anyone under any circumstances–whose lives consist of trying to survive the violence instigated by the ruthless, selfish, and bloody-minded among them. The leader of the advisor team I replaced in Afghanistan told me upon arrival that “Afghans are reasonable decision-makers, but they are worried everyday about two things that we are not: that they might be killed at any time, and that they have to ensure their family’s future welfare.” That insight seems to also be the animating force for the characters in Frankenstein in Baghdad, who must deal with the chaos that tyranny, war, and most-of-all poverty have beset upon them. Living by their wits and extremely aware of the precariousness of their lives, Saadawi’s Baghdadians demonstrate a resiliency, ingeniousness, and humanity that makes us far-softer, far-safer Americans look like rigid, selfish dullards. Their stories both heart-breaking and inspiring, Saadawi relates them in a way that, against all odds, seems light-hearted, jocular, even madcap. How Iraqi fiction about the war can be so zestful, while American fiction strikes such bummer notes, is one of the wonders of literature and mysteries of life. Hilary Plum, Strawberry Fields. Fence Books, 2018. 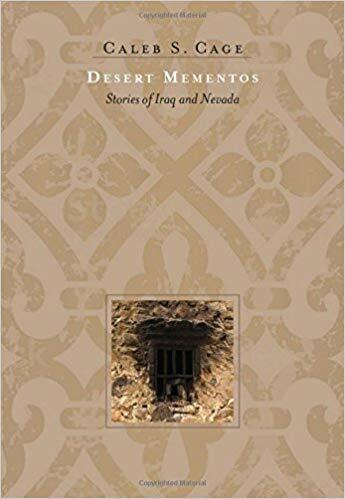 Caleb S. Cage, Desert Mementos: Stories of Iraq and Nevada. University of Nevada Press, 2017. Ahmed Saadawi, Frankenstein in Baghdad. Translated by Jonathan Wright. Penguin, 2018. … and writers do so by drinking coffee and beer and eating meals and trading stories into the night. Thanks to all who attended or presented at the war lit and veteran writers panels at the Association of Writers and Writing Programs conference in Seattle this past weekend. On the war lit side, I enjoyed meeting and chatting with Brian Turner, Benjamin Busch, Elyse Fenton, Brian Castner, Mariette Kalinowski, Katey Schultz, and Colin and Lauren Halloran. On the academic side, kudos to Ron Capps and Alexis Hart’s presentation “Lead from the Front: Best Practices for Working with Veterans in the Writing Classroom” and everyone on Kathryn Trueblood’s panel “The Soldier’s Perspective: How Creative Writing Serves Vets and They Serve Each Other”: Shawn Wong, Christine Leche, Will Borego, and Clayton Swanson. Or, consult Boston-area author Julian Zabalbeascoa, who flagged me down the day after we presented to tell me how much he enjoyed our panel. AWP being what it is–a writers’ convention–Zabalbeascoa let slip that he was near completion of a novel about the Spanish Civil War, a portion of which appears in the latest Ploughshares. I read his story “498” on the flight home and was so blown away I immediately read it a second time. It’s available online here, so please check it out. In my mind “498” is an excellent example of war fiction that comments on our contemporary wars and war literature obliquely by nominally addressing other wars. 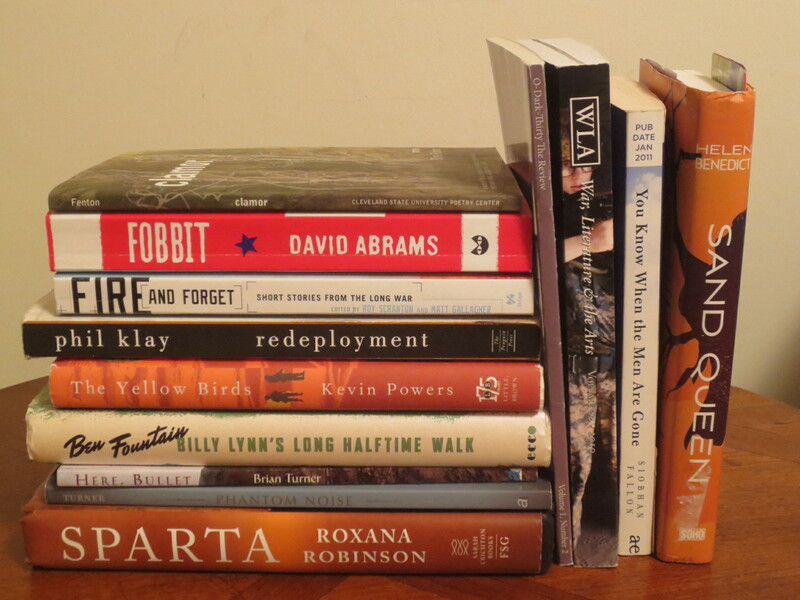 Other examples of the form include Karl Marlantes’ Matterhorn, about Vietnam, and Toni Morrison’s Home, about the Korean War, and I’ll have more to say about them in posts to come. 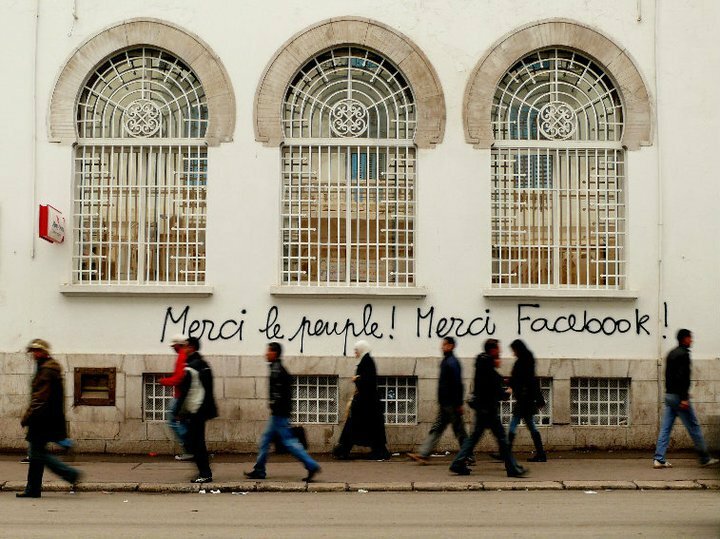 Finally, the talk of the conference was a recent N+1 essay titled “MFA vs NYC“ by Chad Harbach. The jist of Harbach’s argument is that the creative writing scene is divided. One camp, so to speak, is spread across the country and aligns itself with the burgeoning and welcoming MFA program and literary magazine market. The other is centered in New York City, Brooklyn specifically, and fights for upward mobility in the ferociously competitive publishing industry there. Ye war writers out there, does this formulation make sense to you??? “Wolves Keep in Touch by Howling” is a poem by Martha Silano that appears in the winter 2013-2014 Ploughshares. Not a war poem, but I like it and the title’s too good to pass up. 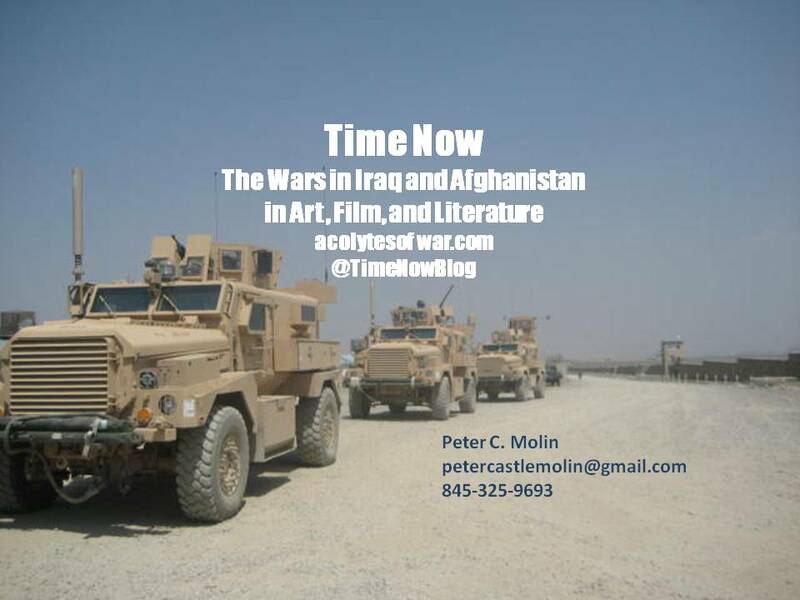 A transcript of my presentation, titled “War, Stories: Fact or Fiction”: Molin Seattle AWP. Overlook all typos, please, but comments welcome. Yea, that should be Donovan Campbell, not Donovan Fink, who wrote Joker One, as opposed to Nathaniel Fink, who wrote One Bullet Away. UPDATE: This essay on AWP14 by Aaron Gilbreath, titled “My Fictional Fantasy: Finally a World Where Writers Matter,” appeared recently on Salon. I think it nicely captures the spirit of the conference from the perspective of one who was skeptical going in, as was I, but found a lot to like about it, as did I.